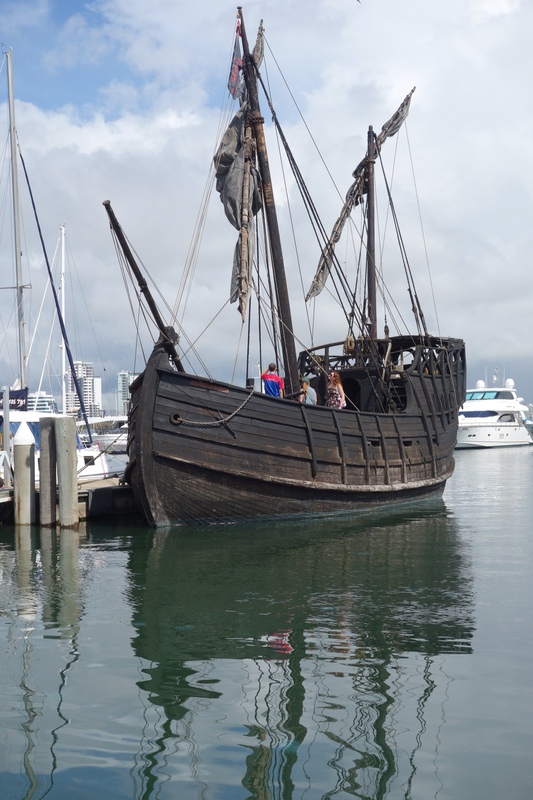 The last thing you expect to see in a Gold Coast marina, amongst sleek white luxury yachts, is a pitch black replica 15th century caravel. 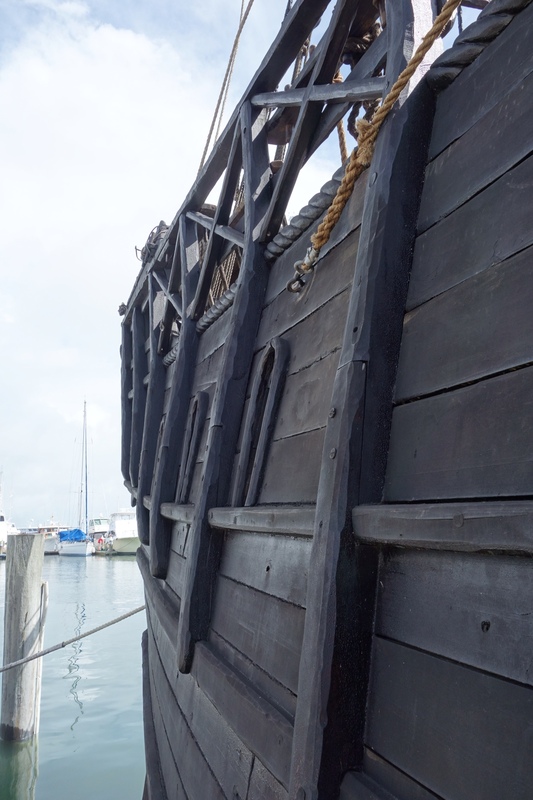 Yet there it is, at Southport, chunky and handcrafted, black sails furled. 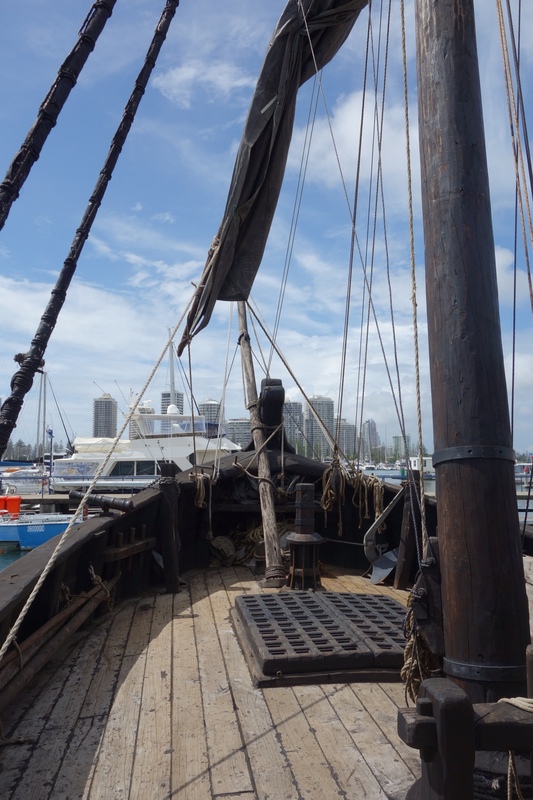 For $5 you can go on board and invade the sea-going home of caravel-builder Graeme Wylie, his wife Felicite and their dog April. 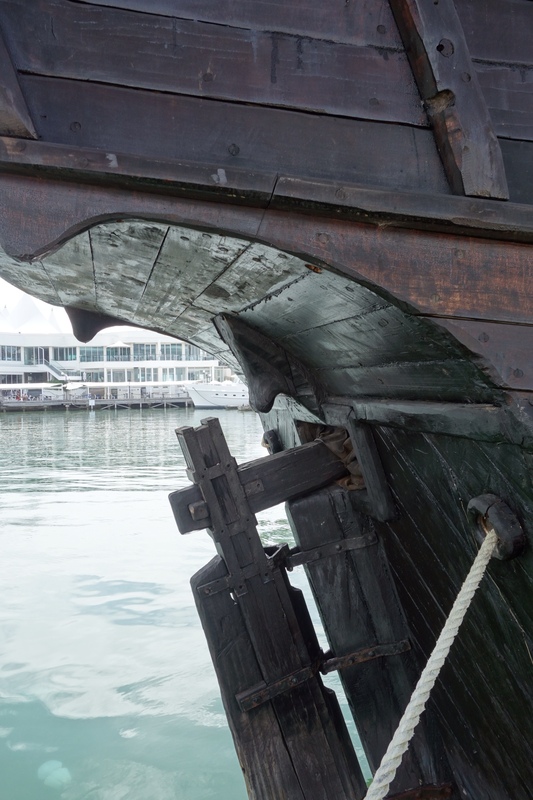 Years ago I read about the mahogany ship wrecked along the coast of Victoria, putting the Portuguese in the forefront of European visits to Australia. This wreck was the inspiration for building the “Notorious”, which took two years of research and nine years to build. 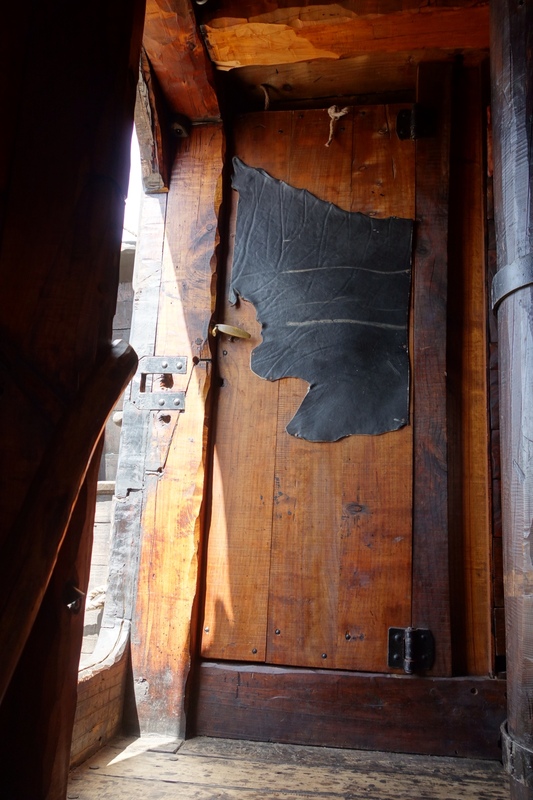 Everything is solidly handcrafted – rails, stairs, doors, sea chests.